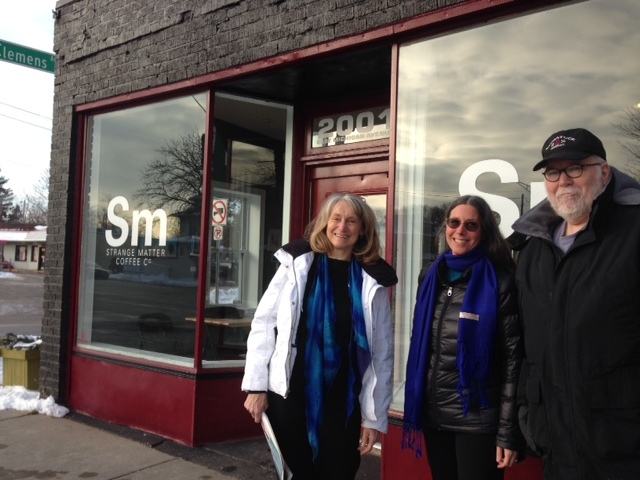 Thank you to the group of neighbors who joined me at Strange Matter Coffee Co. for a bitter cold installment of #WalkingWednesday, which mostly took place inside the warm coffee shop! Joining me were the long-time community leaders of the Eastside: Joan Nelson, Executive Director of the Allen Neighborhood Center, Richard Kibbey of Grassroots Planning, Nancy Mahlow, President of the Eastside Neighborhood Association, Dr. Rex LaMore Director of the Michigan State University Center for Community and Economic Development, and Jennifer Grau of Grau Interpersonal Communitcation a powerhouse team with decades of passionate service to the Eastside. 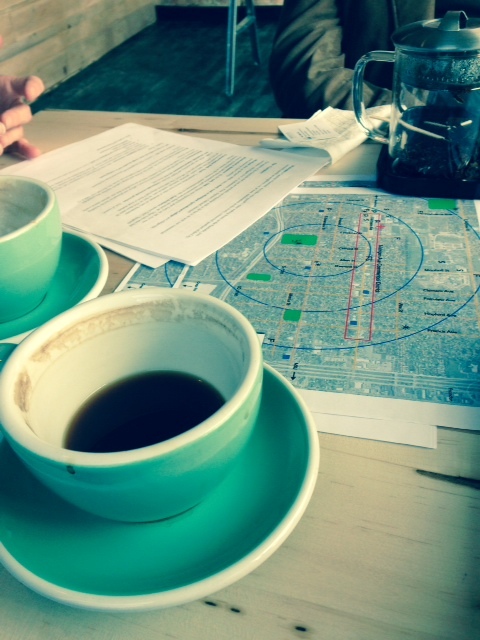 We discussed what makes the Eastside such a great place to Live, Work, Play, & Learn. Michigan Avenue is described as the “Spine of the Eastside”. Anchored on the west by the Sparrow Hospital District, Michigan Avenue is also home to many small businesses such as the recent additions Tabooli Mert’s Meats the extremely popular Soup Spoon Cafe (or just “The Spoon” to Eastsiders) and long-established Eastide icons Emil’s, The Green Door The Avenue and Everybody Reads Bookstore This is just a partial list of all there is along Michigan Avenue. Of course, a famous feature is the #1 CATA Busline with 10 minute buses and quick service for everything from Meridian Mall to Downtown Lansing. 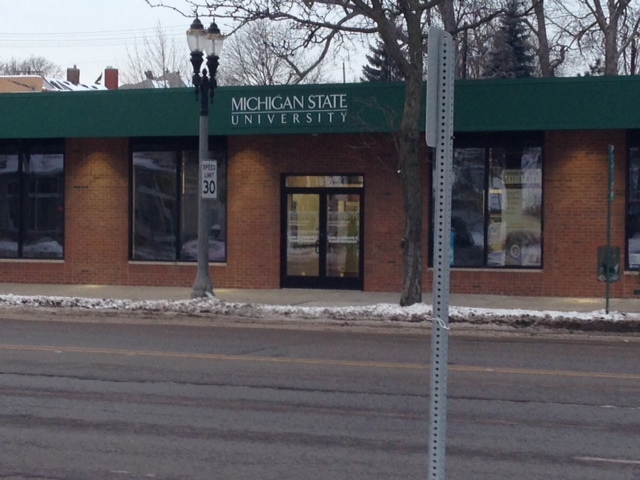 The Michigan State University Center for Community and Economic Development is located in the 1600 Block of Michigan Ave. where its mission is “to advance MSU’s land-grant mission by creating, applying, and disseminating valued knowledge through responsive engagement, strategic partnerships, and collaborative learning. We are dedicated to empowering communities to create sustainable prosperity and an equitable global knowledge economy”. 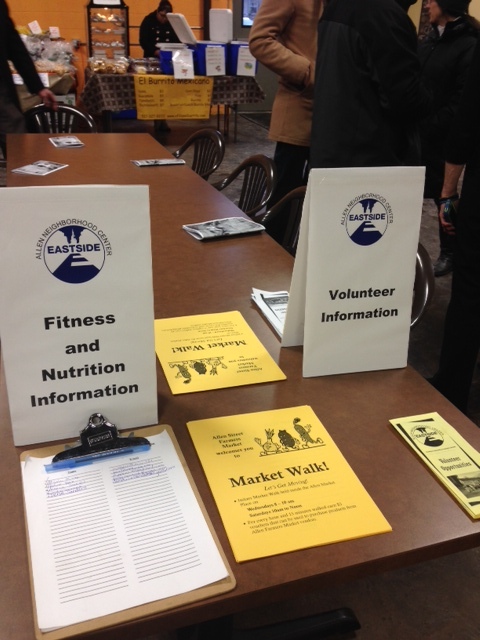 We then headed over to the Allen Market Place inside the Allen Neighborhood Center, which is open on Wed 3:00pm-6:30pm. The market was packed with people picking up fresh and prepared foods. 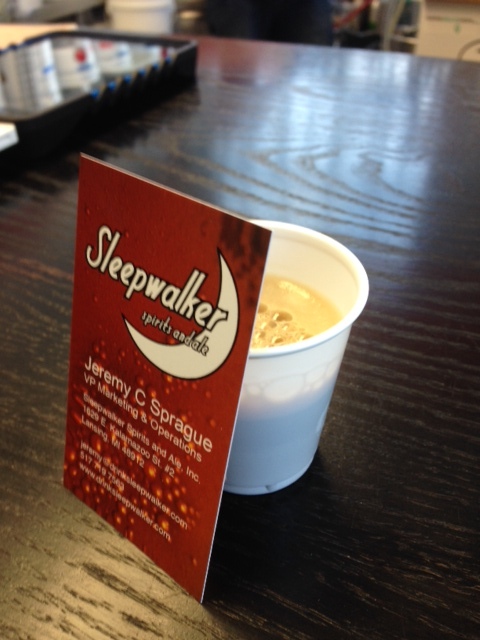 Neighbors were collecting their weekly produce from the CSA and filling their howlers and growlers with Sleepwalker Spirits & Ale. Thank you to everyone who participated and shared why they love the Eastside and give so much of their time & talent to build their community. 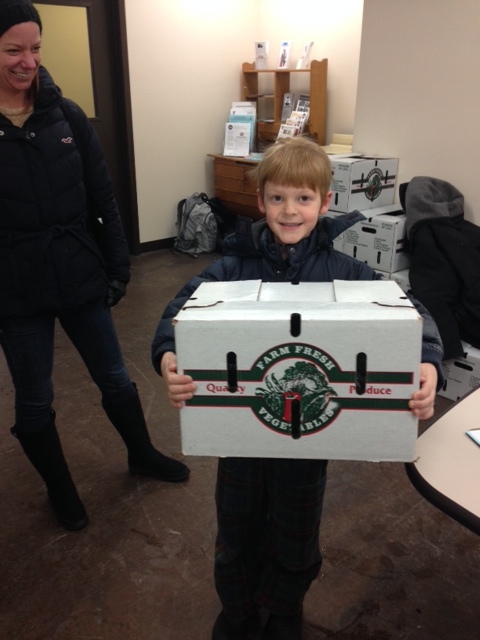 Ethan picks up his weekly CSA vegetable share. He’s eagerly awaiting the return of strawberry season, his favorite fruit. Dream come true! You earn food tokens when you participate in the walking program!! 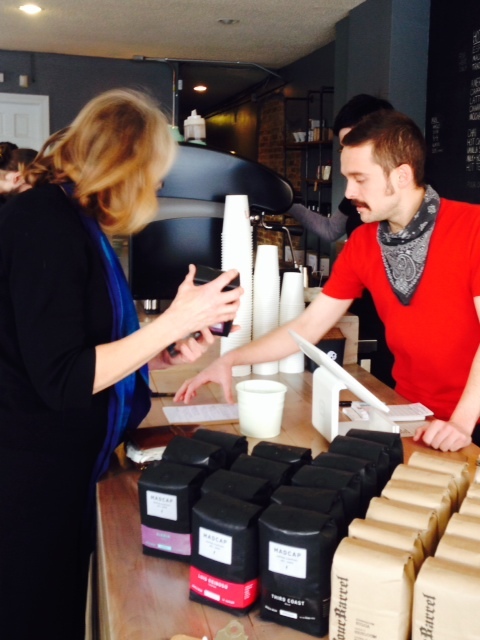 Great to share in what you’re up to these days. 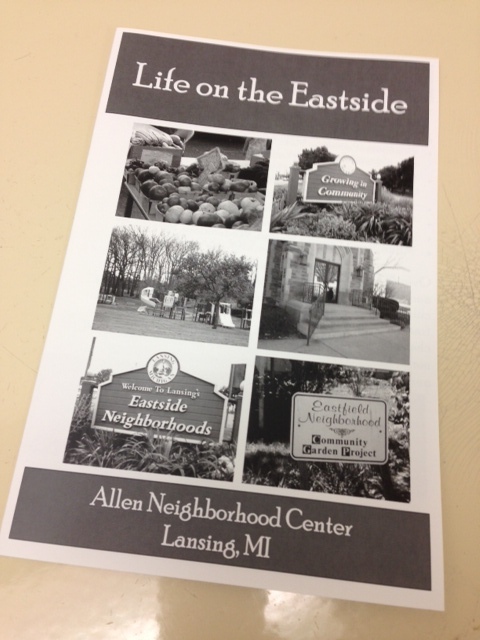 I grew up on the east side of Lansing, so I’m glad people are taking an interest in that area, and helping it to revive. So, thanks!